Ant theatre, frenzy whippings, and upside-down window monsters. Gravity Boots present a super sleen (not a real word) absurd hour, with everything from blind geese to mermen, and the ill-fated tale of the boy who lived in a pot of water. 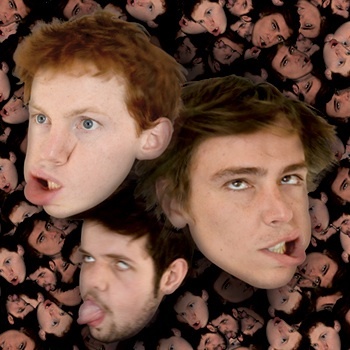 Gravity Boots is a surreal comedy duo from Adelaide, Australia. The show, Snakes Pretending to be Seatbelts is written and performed by James Lloyd-Smith and Michael Cleggett, with music from Austin Harrison-Bray. James and Michael met at Flinders University when they were both studying acting. Since this time they have worked on their own brand of surreal comedy-theatre: performing off-fringe at Gluttony 2011 in Adelaide, creating monthly shows, and debuting at the Adelaide and Edinburgh Fringe in 2012. It was during their debut in Edinburgh that they met odd person Paul Foot, who then offered to direct their 2013 show. Following a successful Adelaide 2013, the duo have been performing experimental shows, pushing what is funny and disturbing into a new awkward place in preparation for Edinburgh Fringe 2013. All of this work has been the roasting hot oven baking the chicken pie that is Gravity Boots’ new show. Storybook sketches, songs, ridiculous lies performed as truth, and thousands of snakes falling from the ceiling.